This page looks at the consumption of energy throughout the world. See the International Energy Outlook (2010) for information talked about herewith. 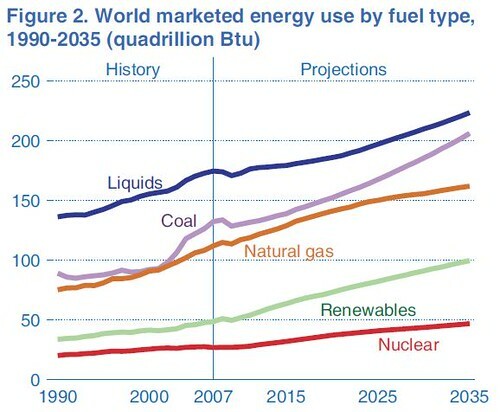 World marketed energy consumption is projected to increase by 49% from 2007 figures to 2035 figures. There are many factors that play into this drastic change. 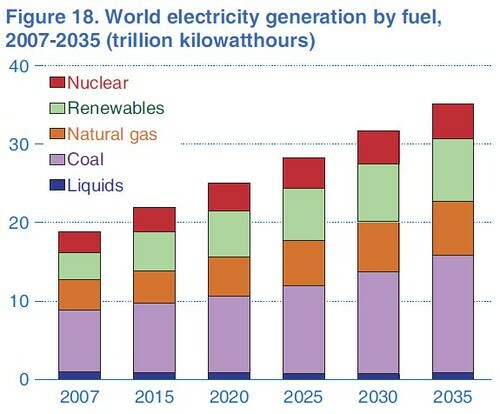 Total world energy use rises from 495 quadrillion Btu in 2007 to 590 quadrillion Btu in 2020 and 739 quadrillion Btu in 2035. Economy (based on GDP) is extremely important, given that GDP and the consumption of energy are positively correlated. Figure 1 (above) demonstrates Non-OECD (Organisation for Economic Co-Operation and Development) countries increasing their energy consumption at a faster rate than OECD countries like the United States and European countries. 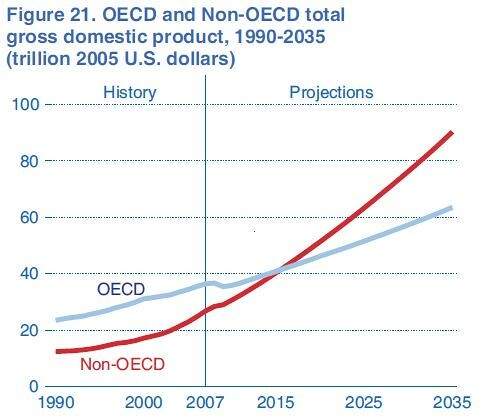 The gross domestic product (GDP) is illustrated in Figure 21 (below), projecting that around 2015, Non-OECD total GDP (in trillion 2005 U.S. dollars) will surpass OECD total GDP. 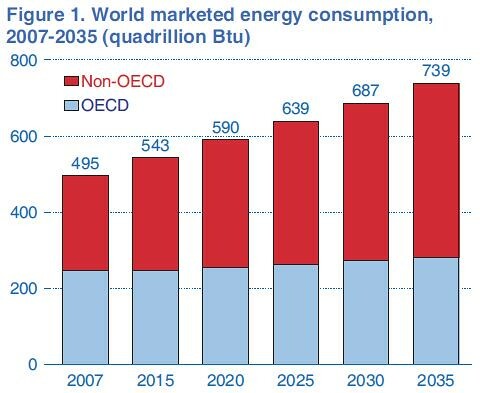 Consequently, Non-OECD energy consumption will increase exponentially. For example, in 2007, the U.S. consumed about 5% of total world energy consumption than China. 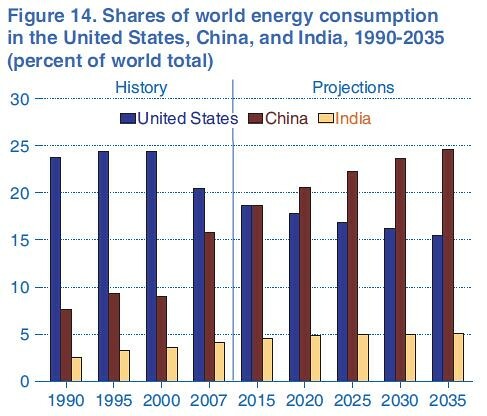 It is projected that in 2015, the U.S. and China will consume about the same amount of world energy. However, China is projected to consume almost 10% of total world energy more than the U.S. This is illustrated in Figure 14 (below). 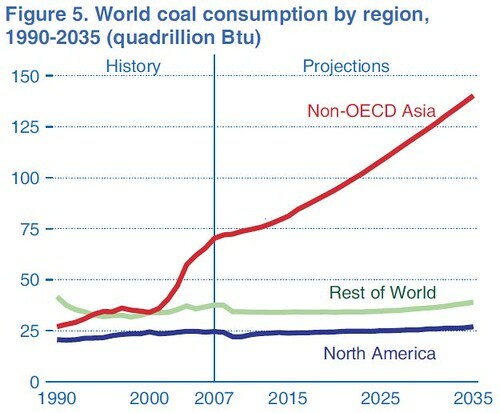 Figure 5 illustrates the incredible increase of coal consumption by region. Furthermore, GDP and therefore, energy consumption, are also closely correlated to population. In the chart below, OECD population increases about 13.3% from 2007 to 2035 while Non-OECD population increases about 30.4% from 2007 to 2035. 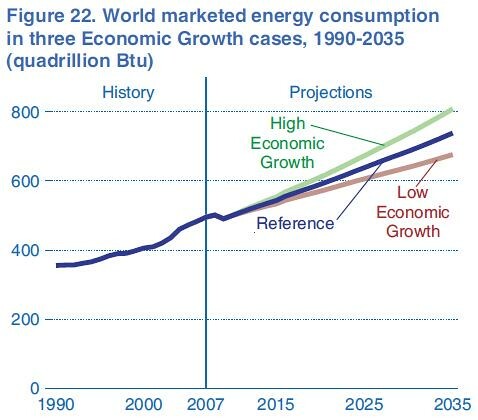 Figure 22 shows three different scenarios by which the world economy may grow up to 2035 and their world marketed energy consumption.